How much does it take to get into the Top 1% where you live? 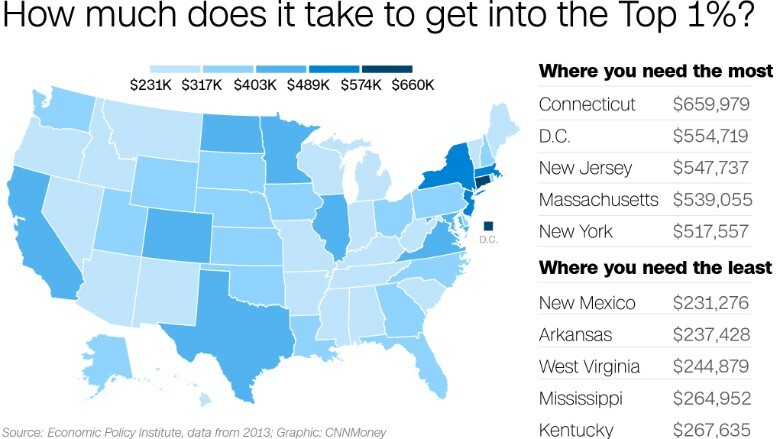 In Connecticut, it takes nearly $660,000 to get into the Top 1%. But in New Mexico, you have to earn a mere $231,300 to get into the elite ranks. Nationally, a family needs an income of just under $390,000. However, just what it means to be in the Top 1% varies considerably by state, according to a new report by the Economic Policy Institute, which used Internal Revenue Service data to calculate the threshold for households in each state. The figures are for 2013. In a dozen states, families need even more to get into the Top 1%. See how much it takes in different states on the map below. 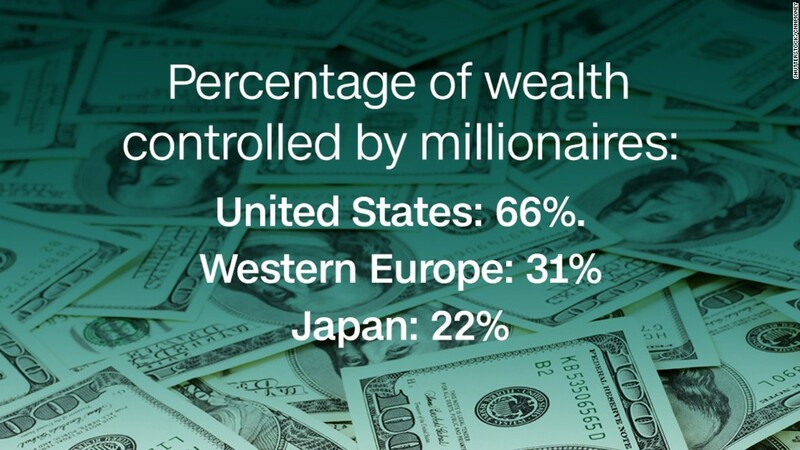 Those in the Top 1% have done very well in recent decades. Their share of the nation's income doubled to 20.1% between 1979 and 2013. That has also made American more unequal. The Top 1% of households made 25.3 times as much as the bottom 99%. Back in 1979, that figure was 10.9. 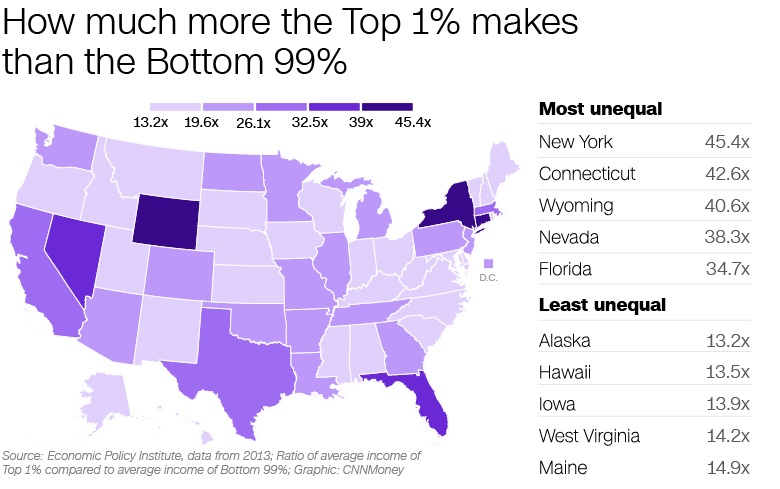 Just how much better the Top 1% varies by state. New York is the most unequal, with the richest earning 45.4 times what the rest of the Empire State does, on average, according to EPI, a left-leaning research and advocacy group. At the other end of the spectrum is Alaska, where the upper echelon earns only 13.2 times all other residents do. See the map below to learn more about the level of income inequality in different states.